Our three „Stüble“ are 13 – 15 square metres big. You receive all amenities like a bathroom with shower and toilet, desk, cable TV, Wifi and a water boiler. 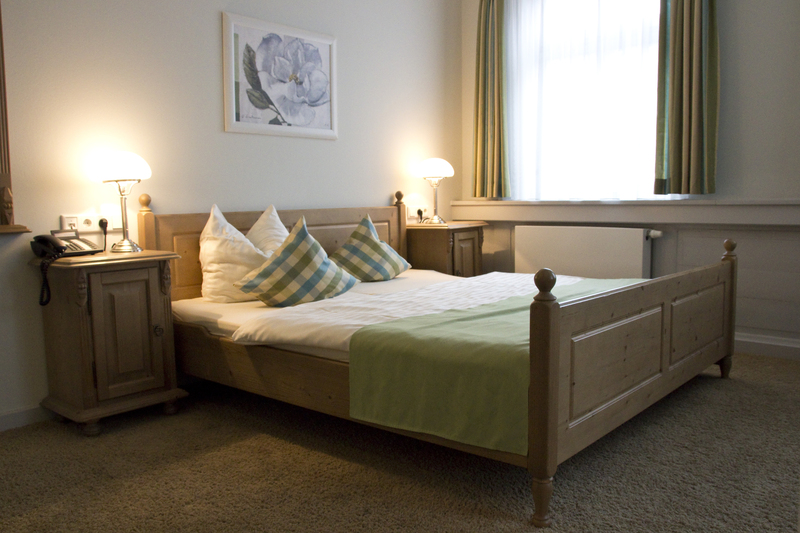 Additionally, our “Stüble” are equipped with a French bed and a daylight bathroom. One of our rooms in this category is connected to a “Landhaus” room through a passage door which allows us the extension to a family room.